In a combative hearing before Congress on Wednesday, Department of Homeland Security (DHS) Secretary Kirstjen Nielsen testified for the first time since Democrats became the majority in the House of Representatives. 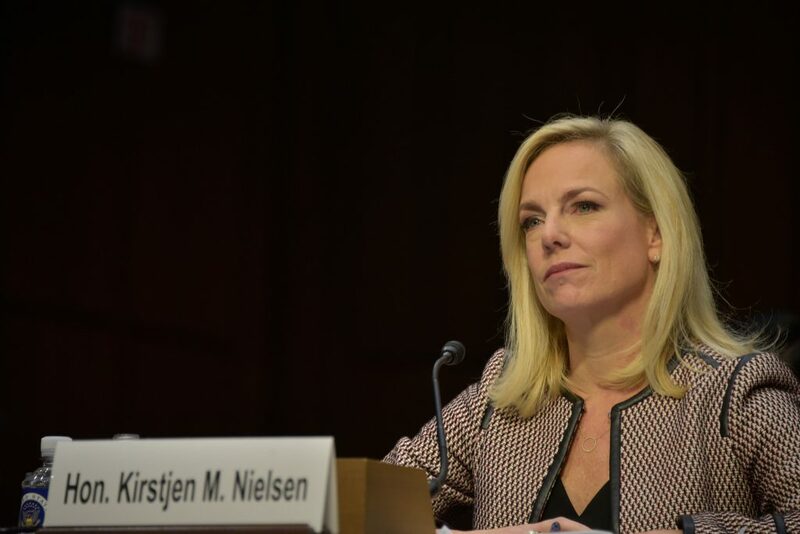 During the House Homeland Security Committee hearing, Nielsen refused to admit culpability in family separation, denied reports that asylum seekers are being turned away at the border, and called on Congress to roll back humanitarian protections that she claimed are leading to a “crisis” at the border. In her last appearance before Congress in December, Secretary Nielsen struggled with basic facts. She admitted she didn’t know how many children had died in DHS custody and that she was unfamiliar with studies showing undocumented immigrants commit fewer crimes than American citizens. She was even stumped by a question about how many ports of entry there are along the U.S.-Mexico border. At Wednesday’s hearing, Nielsen was substantially more prepared and rattled off multiple figures when asked whether there was a national emergency at the border. However, when Democrats pressed her on data that contradicted her point of view, she frequently told them she was unaware of those numbers and would get back to them. This led one frustrated member of Congress to suggest that Nielsen was deliberately only answering Republican lawmakers’ questions. Nielsen’s testimony came the day after Customs and Border Protection (CBP) released data showing that the number of apprehensions on the U.S.-Mexico border in February was the highest in years. This was driven almost entirely by record numbers of families crossing the border and then immediately asking for asylum. Even though apprehensions are still far lower than 20 years ago, Nielsen seized on this data at the hearing to call for Congress to fund new border barriers, limit asylum protections, and allow for lengthy detention of families by ending the Flores settlement. Of course, unlike what happens in the criminal justice system, parents separated from their children at the border remained separated even months after they had been released from jail, with many deported to another country. Nielsen’s performance at the hearing demonstrates once again that this administration is trying to avoid a full accounting of its actions at the border. Despite being under oath, Secretary Nielsen presented information that was out of context, refused to answer questions that were politically inexpedient, and continued to demand changes to laws that Congress already rejected. But as the new majority in the House ramps up oversight of the Trump administration, Nielsen’s performance will likely lead to more scrutiny of DHS—not less.